“That’s just crazy!” That’s what I heard when I told a friend about this article I planned to write. Of course, I understand the reaction. None of us would wish to be in a storm. I don’t. Who wants to experience floods, lightning, mudflows, etc..? These things can really be scary. And so I can understand when people think that the idea of welcoming storms in our lives just sounds insane. However, let me present another side of the story. Storms do benefit us. Do you know that they provide the United States over 50 percent of its rainfall, distributing water to plants, lakes, and reservoirs? For us Californians who are now experiencing severe drought, our state of California needs more storms! Our farms, dams, water reservoirs need more rains. For most of us who have taken Biology back in High School, we learned that winds from storms create life by distributing seeds and pollen while removing old and weak vegetation to make room for new growth. In addition, when lightning strikes, it actually liberates nitrates that help fertilize the soil. For us who live in the Los Angeles County, we appreciate storms. Storm updrafts remove large amounts of smog, while storm rainfall washes more dust, chemicals, carbon monoxide out of the air. I just love it after a storm passes away. The air is clean, fresh and the mountain view is perfectly clear. After a storm, we can actually see the San Gabriel mountains! When it comes to the storms that menace our lives, we find ourselves scurrying and scattering in frantic attempts to deal with, control, decrease, and contain them rather than face them head on. Why so? Because we often forget to see how the storm is helping us “sail our ship” better. But if nature is any example, even the most vicious storm is faithful to create some form of beauty in the midst of the chaos it first met us in. What if every failure, setback, and raging storm you’re facing is actually making you a better sailor, preparing you for deeper waters, bigger ships, and the fullness of life? And that’s not just a nice idea….it is the truth. Even Olympians admit to this fact. Their coaches have to subject them to rigorous training and experiences so they can be molded into the best form they can be. No Olympic athlete prepares by sitting down, relaxing and doing nothing. They go through a test of fire. This is similar to the process of purifying gold. It has to go through much heat to burn away the impurities. Are you going through a storm right now? Just remember every storm we face is an opportunity to be better and braver on the other side. Although problems are often the effects of living faulty lives yet if we look at them in another perspective, we can learn from them. I know of people who have gone through troubled finances, rocky marriages, struggling careers, fighting addictions or battling any other type of disorders. Yet, with the right attitude, these have resulted in giving them the needed wisdom and strength they would never have acquired in sunny weather. It is also amazing to know that humanity’s savior, Jesus Christ, has gone through difficulties and challenges. Notice how Jesus embraced his storm. Jesus endured the cross. By doing so, he saved humanity. At the Garden of Gethsemane just before his arrest and crucifixion, Jesus must have thought of the pain and suffering being made ready for him. The Bible talked about him “sweating blood” as he supplicated and yet he said to the Father in Heaven, “Thy will be done.” Jesus welcomed the cross. 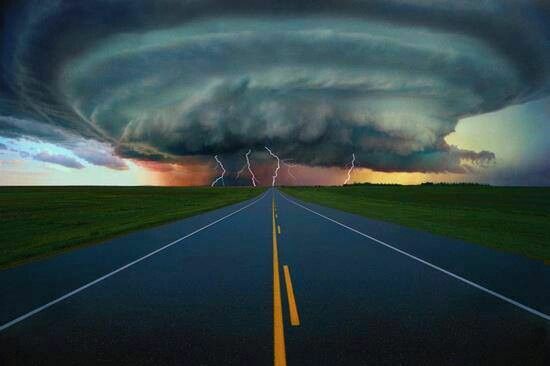 Whatever the storm or trial facing you, freedom is just around the corner. Set sail. Welcome the storm. Be not afraid.